I'm just a few days late with this one. This has been a busy week, with sick kids, meeting up with friends, and prepping for a Pinterest day at our church this Saturday where I'm leading a class. Busy! Last weekend I dropped our babies off with my parents on Friday afternoon and headed back to Fort Worth after eating supper with them and my brother. We had gotten a call a couple of days earlier inviting us to take advantage of some Aggie football tickets our friends had been given. Everything totally aligned--childcare, tickets, and a mostly free weekend. YES! The tickets were passed along by two gentlemen in our church who have had them for probably decades. 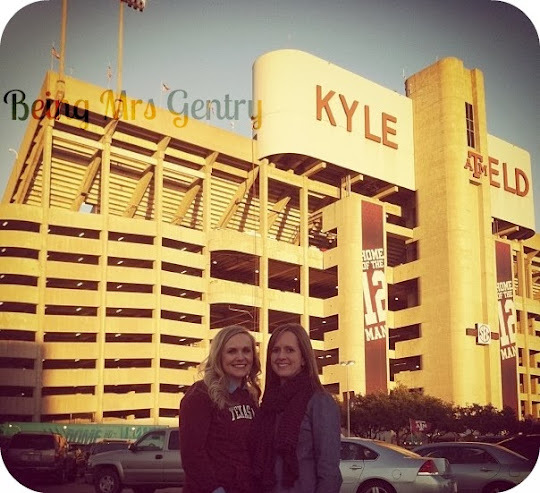 Our parking pass was in the lot right in the shadow of Kyle Field, which really uncomplicated a lot of game day for us. So wonderful! We caught one of our former high school students who is in the Corps during march-in, saw Luke Joeckel on his scooter with his hurt ankle, and managed to grab some Aggie stocking stuffers for the kids. After a ridiculous first quarter, the Aggies started to come alive. It was great to watch Johnny play even a little longer than we expected. We headed out in the fourth quarter since it was already late (kick-off was at 8 PM), and we all had to be back for Harvest Day, our new building dedication, and other responsibilities at church the next morning. 8 AM came pretty early the next morning, even with falling back an hour. It was Harvest Day at church, and we dedicated a new building with dining facilities, music suite, and education space for Senior Adults. It was a great day! After, we headed back to Corsicana to pick up my kids and visit with my family for a bit. 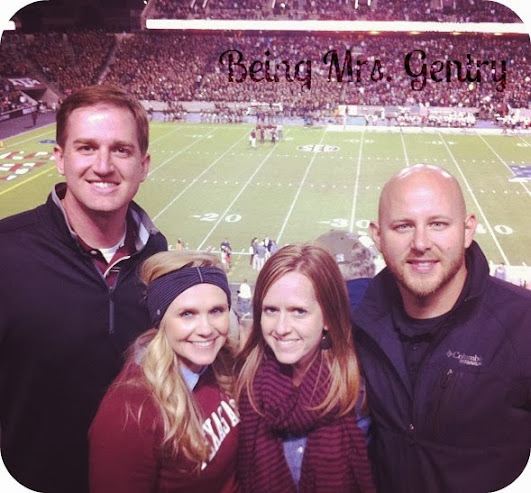 It was a great weekend, and we were so grateful we got to make a trip to Aggieland this year to see our Fightin' Texas Aggies!